The lead up to Christmas is hectic. From end of year work deadlines, Christmas parties and school nativities to family gatherings, gift buying and food organising – by now most people are ready for a break. The Lake District is 2362 square kilometres of natural bliss. Experience the drama of snow-capped mountains, icicle dripping waterfalls and frozen tarns. Enjoy the warmth of rural communities, a traditional countryside pub with good food, beer and an open fire. Indulge in the luxury of a relaxing spa trip, an invigorating woodland walk and a gentle, soothing row boat trip. Here we’re picked a wondrous walk, family cycle trail and romantic row boat experience for Winter in the Lake District, plus our favourite winter walks so you can plan your relaxing Christmas and New Year escape to the Lake District. Enjoy the most rewarding of gifts this Christmas, the gift of time with loved ones. Little Man and Glendeterra Beck, Keswick – this wonderful, winter’s day walk is from George Fisher, the impressive outdoor retailer based in central Keswick. We admit that we’ve picked this walk partly based on the delicious Christmas Cake, specialist coffee and spectacular views that await return walkers at the store’s top floor Abraham’s Café! Alas, for hill baggers you can collect these too: Latrigg, Lonscale Fell, Sale How, Little Man and Skiddaw summit, for those who fancy it. If you’re staying in Keswick over the winter holidays, the chances are you’re in the market for a quiet one. 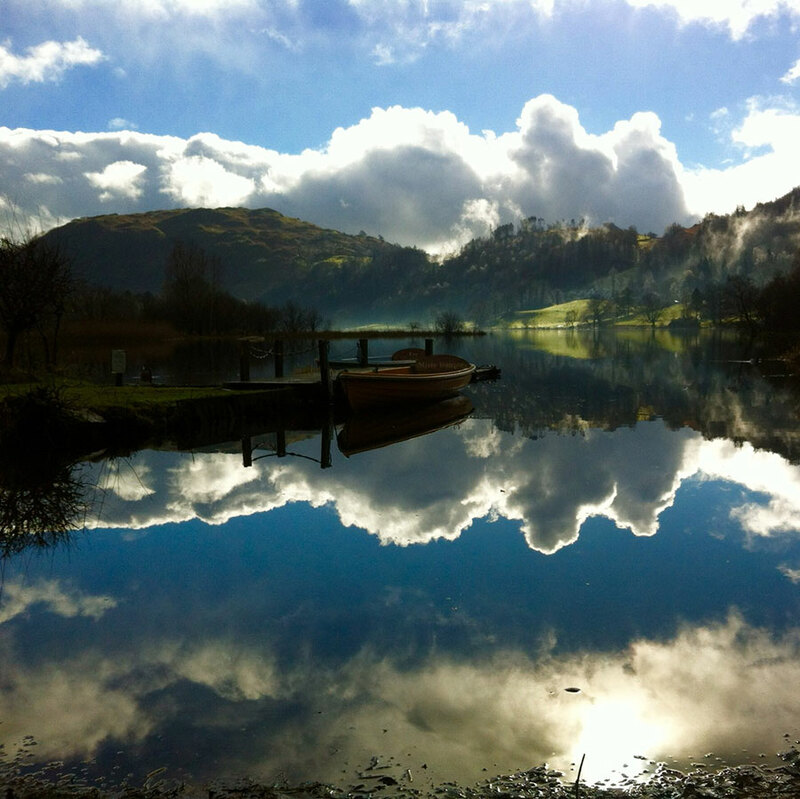 You’re coming to the Lakes to escape bustle and seek solitude and a well-earned rest this festive period. Well, this is exactly what you get with this route. It is a good length with lots of peaks so you can get stuck into a proper day out in the fells, weather allowing. 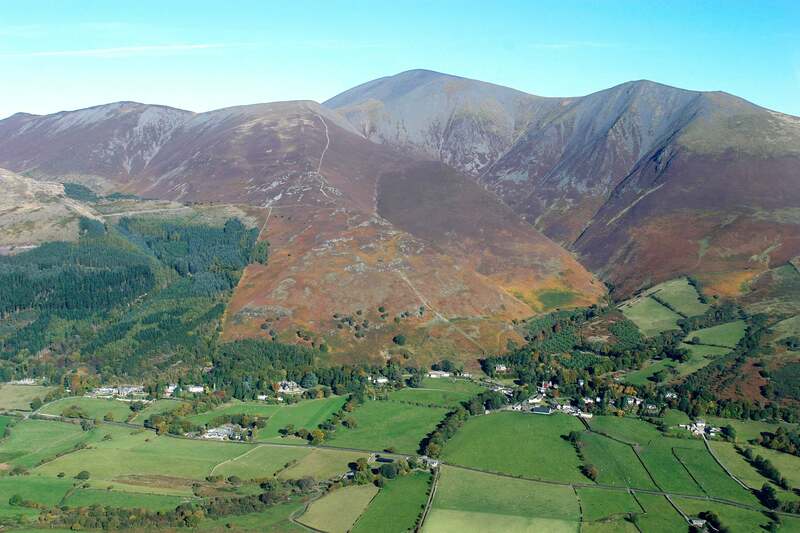 And along the stretch of the Cumbria Way, running between Skiddaw and Blencathra, the feeling that you are a million miles away from everyone could be the perfect festive tonic! Here, you’ve found one of the lesser trodden spots in the Lakes and with winter comes a palpable stillness that soothes mind and lets the body be reinvigorated. Rather excitingly, Lakelovers have some gorgeous new holiday cottages being added to our portfolio this Christmas and New Year. Keep an eye on our New Properties and Christmas Availability so you don’t miss out. We’ll be posting them on Facebook and Twitter also and here’s a quick browse of our Keswick Cottages. Finally, make sure you plan this route on the recommended OS map before leaving, let people know before you set off. Plan extra time as walking in winter takes longer and remember that daylight is shorter. Wrap up in layers so you can regulate your temperature and carry water with you, as well as map, torch, whistle and compass. All that is left is to #GetOutside and enjoy the wonderful stillness that shrouds the Lake District fells at this time of year. Enjoy a loose-leaf Christmas tea with the faery’s and a row between 10:30 – 16:00, closed Tuesday and Fridays and very wet days. Choose the gentle 8 mile (there and back) Windermere West Shore Cycle Route and enjoy the traffic-free side of Lake Windermere. Take the ferry from Bowness-on-Windermere over to Far Sawrey. 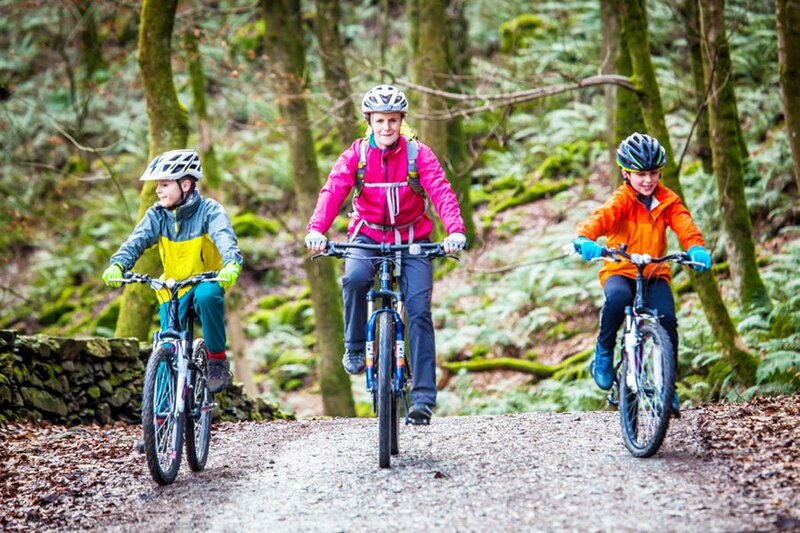 From here, you and the family, kitted up for a day outdoors, immediately join the blue cycleway signs and can take in the beautiful views of Lake Windermere through the trees from the elevated position of your bikes. You’ll pass Claife Viewing Station, which has a café and toilets if you’re already in need of a stop. Pleasure cruisers and sailboats bob on the lake and you’ll pass walkers enjoying his car-free side of Windermere. Look out for the impressive Balla Wray at High Wray – one of Lakelovers latest Lake Windermere holiday cottages. Knowing that after only 4 miles on this relatively gentle route, along a wide wooded trail path, you can stop at Wray Castle’s café for a hot drink and sweet treat, makes this ride all the more pleasurable. Plus, if the weather has taken a change for the worst, jump aboard the bike boat from Wray Jetty to Brockhole where you can catch the 800 bike bus back to Windermere. More confident riders can continue from Wray Castle to Ambleside.